Dr. Jane G. Pisano is President of the Board of Trustees of the John Randolph Haynes and Dora Haynes Foundation and chairs the Foundation’s Committee on Research and Grants. During her distinguished career, she has served as president and director of the Natural History Museum of Los Angeles County. She is former Dean of the School of Public Administration and Senior Vice President of External Relations at the University of Southern California. Her teaching career began in 1972 at the School of Foreign Service and the Department of Government at Georgetown University. Outside the classroom, Dr. Pisano served as a White House Fellow (1976-1977) for national security affairs at the National Security Counci. In 1991, she was elected to the National Academy of Public Administration, where she formerly served as chairman of the board. Dr. Pisano also was named President of the Los Angeles bicentennial committee (LA 2000), President of the Los Angeles 2000 Committee and the 2000 Partnership. She was Director of Olympic Programs at Times Mirror Company. 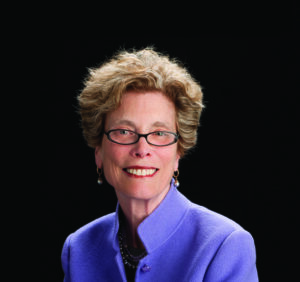 She has been active on many boards, including services as Chairman of the Board of the California Community Foundation. She was recently elected vice president of ASPA, the American Society of Public Administration and will become the administration’s president in 2018. Dr. Pisano holds a B.A. in political science from Stanford University and M.A. and Ph.D. degrees in international relations form the Johns Hopkins University School of Advanced International Studies. Dr. Pisano received the Rose Institute Award in a luncheon presentation on Friday, November 18, at the Millennium Biltmore Hotel in Los Angeles in front of friends and family and delivered a wonderful acceptance speech [CLICK HERE TO READ HER ENTIRE SPEECH].